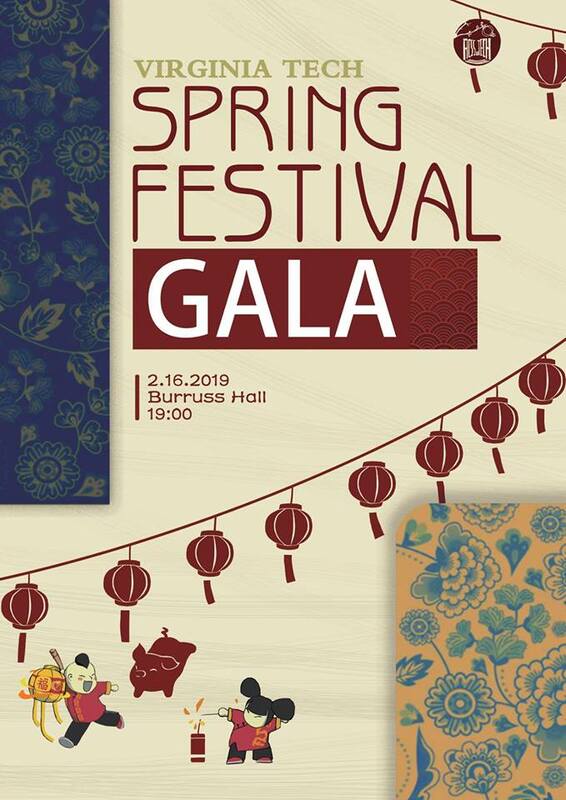 The Association of Chinese Students and Scholars at Virginia Tech presents the 2019 Virginia Tech Spring Festival Gala on Saturday, February 16, 2019 at Burruss Auditorium on the campus of Virginia Tech. The Spring Festival is a traditional festival of Chinese culture. It is also known as the Chinese New Year which is celebrated at the turn of the traditional lunisolar Chinese calendar. This event is going to present Chinese traditional arts and courtesy to the public through the form of performances. This Gala will help the public understand the meaning and traditions of this essential Chinese festival. The attending audience will not only enjoy the celebration, but also learn about Chinese culture through the program and fellow Chinese audience. To view the event flyer, visit: https://i.imgur.com/GxAHHXZ.jpg. For more information, visit: https://gobblerconnect.vt.edu/event/3130694 or https://www.facebook.com/VTACSS/.